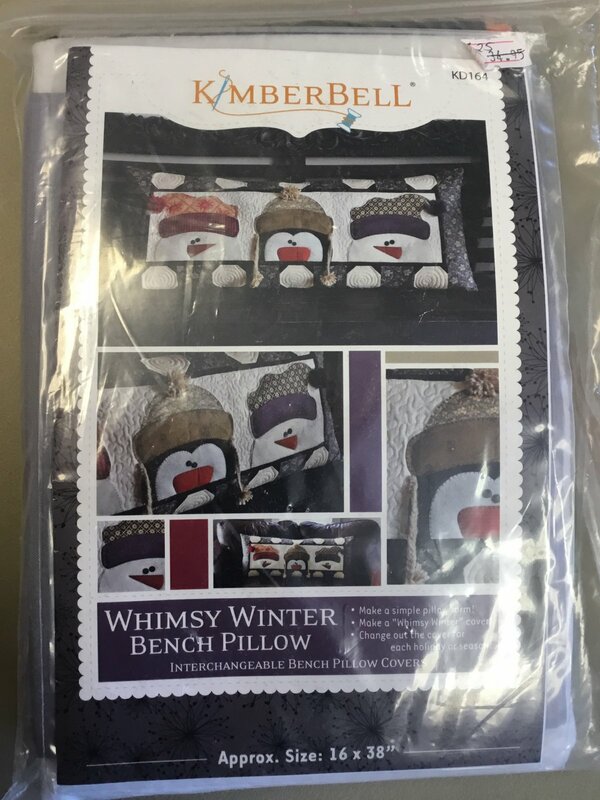 Kimberbell Whimsy Winter Bench Pillow Kit- Everything you need to make this cute interchangeable bench Pillow cover. Fabric included to make the bright color way shown on back of cover. Finished pillow cover is Approx. 16 x 38"